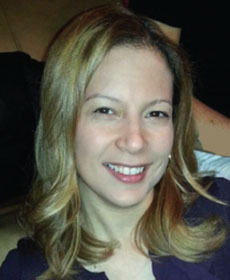 Mrs. Infante-Green is the Deputy Commissioner of the New York State Education Department’s Office of Instructional Support. Her portfolio includes overseeing the Office of Bilingual Education and World Languages; the Data Systems and Educational Technology Office; the Office of Assessment, Standards, and Curriculum; the Office of Special Education; and the Office of District and School Review. In her previous role as the Associate Commissioner for Bilingual Education and World Languages, she spearheaded the release of the nationally-recognized Blueprint for English Language Learners’ Success, a statewide framework that establishes clear expectations for administrators, policymakers, and practitioners to prepare English Language Learners (ELLs) for academic success. In addition, while she was leading this work, the Board of Regents adopted Commissioner’s Regulations Part 154, the foundation for progressive statewide policies governing ELL education. Mrs. Infante-Green is an education visionary and a proven leader of change.